Is “Chicken SOup” Too Sweet for Your Soul? When you take the road less traveled, do you get lost? When bad things happen to other people, do you feel good? Do self-help books make you feel selfish and helpless? Congratulations, you’re one of us. Welcome to the farthest side of reality — and the first collection of stories sure to harden your heart and dampen your spirit. Here is the story of “Step-Mother Teresa” who turned an orphanage in Calcutta into a sweatshop…and “The True Meaning of Love,” romance as seen from a stalker’s point of view. Explore the positive side of feeling bad in “The Joys of Depression.” Learn the code of the urban teacher who vows “I will never respond to a student’s demands, no matter how outrageous, with the phase ‘Over my dead body. '” Read the multimillion-dollar government study that discovered that the primary cause of anxiety in America is government studies. And, finally, learn the true secret of happiness. 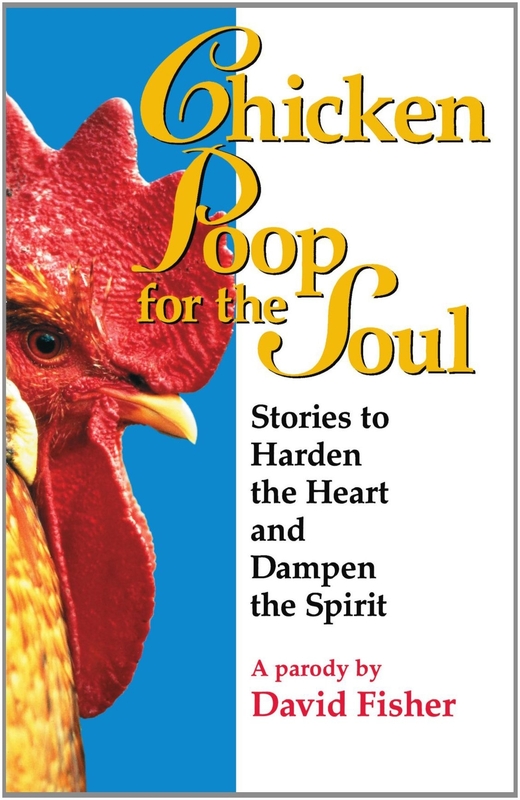 Ruthlessly hilarious, this is the world’s first “sinspirational” book, a guide absolutley guaranteed never to be a selection of Oprah’s Book Club. David Fisher has dedicated his life to eliminating hypocrisy at a profit. He is a man of intrigue and mystery. He is the author of the prize winning novella Conversations with my Cat, Hard Evidence: Inside th FBI’s Sci-Crime Lab, /I> as well as the best-sellers Gracie with George Burns, The Empire Strikes Back with Ron Luciano, and the reference book What’s What he lives in New York City with his fantasies. David Fisher is senior pastor of Plymouth Church in Brooklyn, New York. He was formerly senior pastor of Colonial Church in Edina, MN.